William Barclay relates a story from Robert Louis Stevenson in The Master of Ballantrae who writes about the master leaving the ancestral home of Durrisdeer for the last time. Such was the case of the man who came running to Jesus as recorded by all three Gospel writers. He is known as the rich, young ruler. This poignant encounter vividly teaches us so many lessons. (Mk. 10:17-22; Mt. 19:16-22; Lk. 18:18-23). This young man began well. He “came running” to Jesus. He demonstrated respect as “he knelt” before Him and called him “Good Teacher.” Seemingly he was interested in spiritual matters. But he reminds us that passion and enthusiasm are not enough. Jesus, however, stopped him in his tracks immediately. 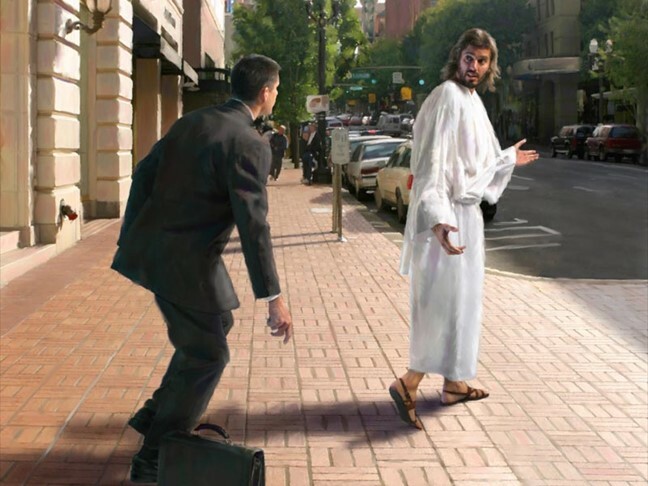 “Don’t call me good,” Jesus retorted. “Save that title for God.” Perhaps Jesus is saying “Don’t flatter me.” And no doubt Jesus saw through his sentimentality and superficial view of spiritual things. His response, “Teacher, all these things I have kept from my youth,” indicates a failure to see himself as a sinner before God. He felt good about himself. He kept the law. And lived respectably. Outwardly, he appeared to be the perfect model for Jesus’ disciple. But Jesus said, “one thing you lack.” What could it be? What else did he need to do? This narrative reminds us that it is possible to have a lot of good qualities, to achieve success, and to have abstained from many moral pitfalls, yet be lacking spiritually. Outwardly one can appear to be “a good Christian,” but inwardly to possess a sinful attitude. This man was covetous. Money was his god. His possessions were too important to part with. He wanted to follow Jesus on his own terms. He desired to be a disciple without commitment. He sought the reward without the risk. He was unwilling to sacrifice what stood between him and God. Too often we can define our religious standing by our good manners and upstanding morals. We have kept the law. We’ve achieved success. We have many wonderful qualities. But it is possible for us to have that one thing that inwardly separates us from being what God wants us to be. It may not be money or possessions. It could be another person. A relationship. A family member. Or a friend. Someone who is more important to us than our relationship with Jesus. It may be earthly pleasures. Oh, not necessarily sinful, lustful things. Sometimes, our desire to provide good, wholesome recreational opportunities for our families can override our spiritual priorities. Ball games, vacations, extra curriculum activities can soon fill our calendars and our hearts and crowd out our desire, devotion, and dedication for things divine. What’s standing between you and deeper devotion to God? Is there one thing you lack? Are you willing to let go and follow Jesus?